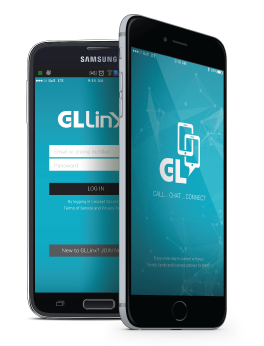 Call… Chat… Connect with the GLlinx premier mobile VoIP app. Enjoy a new way to connect with your friends, family and business partners through the GLlinx App for FREE! It is simple and intuitive to use. Fully integrated with your Android™ or iOS® contacts, pre-loaded with technology that ensures the best quality calling. * GLlinx to GLlinx calls and chats are free. Operator data charges may apply. © 2019 Group of Gold Line. All Rights Reserved.